Doctor Who: "The Vampires of Venice"
One of the best things about Doctor Who is its simplicity. The sonic screwdriver doesn't need a lot of explanation. The TARDIS has gotten a little bit over the years but is mostly just a big blue box that travels through time. The Doctor can change his form when he's been badly damaged. If there's some sort of monster on Earth, chances are it's an alien in disguise. All of this stuff just works. There's no overreliance on explaining it away, for the most part. Doctor Who boils all of the stuff that trips up other shows in its genre down to its essence. It's a show as much about the romance of the idea of being able to travel anywhere in space and time as it is actually traveling through space and time. If you could go anywhere or any time on a date with your fiancee, where would you go? The best episodes of Doctor Who, then, understand that the ideas have to be simple, but the people wrapped up in them must be both simple and complex. The Doctor, within a certain range of reactions, has been pretty much the same guy for over 45 years now. He does the things he does, and you can sort of see where he's going, even if you can't exactly predict it. Each new actor who plays the role builds on what came before, complements it, rather than attempting to find a completely new way to play the character. That's why the onus of emotion, most of the time, has been on the companions in this new version of the show. "Vampires of Venice" isn't the best episode of the show or even the season, and the science fiction plot is rather weak, but it has a rock-solid emotional core. It's about the fear of knowing what your life will entail and the sacrifices you might make to be forever young. Well, back that up. The monsters in "Vampires of Venice" aren't vampires, not exactly. They sure appear to be vampires to the people of Venice and to the Doctor, Amy, and Rory, but they're actually Saturnyians, a race that devours the moisture in beings until those beings are just like them or dried-out husks of corpses. They're using a perception filter to appear human and running some sort of school, which seems dedicated to slowly turning human girls into Saturnyian girls. Why? So they can be mated with the Saturnyian boys, who were the only ones to save the voyage from the homeworld and now live in the canal. It's enough like a vampire story to work, but it's also its own creepy thing, and the portrayal of the actual face of the Saturnyians - big, buggy things with weird lizard heads - worked. It certainly helps that the episode felt less like a costume period piece than many of the show's visits to Earth's long-gone past have felt like. There's a scale and quality to the production elements here that the show doesn't always manage, and when the camera pulled back to reveal, say, the streets of Venice or the girls in their school or one of those buggy things, the production stuff mostly held up. In prior seasons, this has been one of the things that makes it so easy to slip out of one of these episodes and lose interest. I understand that TV can't have that big of a production budget, but I don't know if the budget has been increased this season or if the producers are just using it better, because the episode looks terrific. At the same time, the science fiction stuff really feels perfunctory. It's not as perfunctory as it was in "Victory of the Daleks," but it's a shade behind the four Moffat episodes so far this season. Rosanna's plan is to create a giant storm that will sink Venice? It may be practical, particularly given the location, but it's not very dramatically interesting, especially when you've got a lot of build-up involving thousands upon thousands of Saturnyians in the canals. And the fact that the Doctor is able to stop it pretty much just by hitting a button - albeit one he had to climb to the top of the school's tower to hit - keeps the finale from being as exciting as some of the others this season. And this is not to mention that the show goes to the "aliens disguised as humans" well very, very often, and when it's not executed absolutely perfectly, it loses some of its punch. But never mind that. The best thing about this episode is that Rory tags along. I've seen some complaints from British fans that Rory is kind of a dull character or that he's not really worthy of Amy or whatever, and I think that's kind of the point. I wouldn't say he's not worthy of Amy, but she and he are at vastly different points in their lives, one where she's spent much of her life dreaming of what's out there and where he's spent much of his life dreaming of the life he could build when the time came. Amy has always been in his dreams, but he is so rarely in hers. It's not that they're a bad match or anything. Indeed, the scenes where the two bicker or fight aliens together suggest they have more in common than even they'd admit. But they've found each other at fundamentally the wrong point in their lives. Even five years later, and this might have worked better. 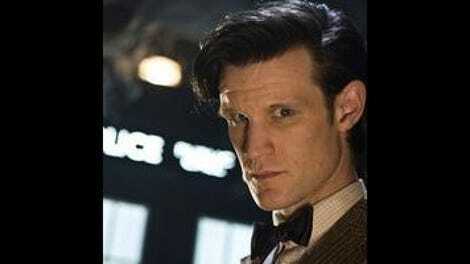 Instead, the Doctor comes and gives Amy a free pass to escape, and off she goes. Rory will now join them, of course, but in that final scene, it sure seems like his eyes remain glued to Amy, not to the wide world of things that are out there. In a way, they're both hanging on to those dreams. Steven Moffat (who didn't write this episode, as Toby Whithouse did, though Moffat handles general direction for the season) has always been interested in the vagaries of how time plays havoc with our relationships. His Coupling was based almost completely on dancing around through the timestream to get better laughs from who these people were, and his Jekyll focused on just how little time the protagonist would have to be himself and be with his love interests before his other half came roaring around. But his Doctor Who work has been the most coherent expression of this theme. "The Girl in the Fireplace" and River Song both express this idea literally, but I'm starting to wonder if the Rory and Amy relationship isn't a subtle nod toward that idea as well. You can be absolutely perfect for someone, and you can be madly in love with them, but if it's just not the right point in your life, none of that will matter. There's no worse time than the wrong one. I'm not Keith, in case you hadn't noticed. Much like the Doctor, he has to take periodic voyages to make sure humanity isn't eradicated by fearsome beasts, and I can only presume he's on one of those now. Great sight gag: Rory wearing the T-shirt featuring him and Amy in the little heart and then it ending up on Isabella's dad when the crew were escaping the school. I realize this is something one could say about pretty much any episode of Who, but Isabella and her dad were remarkably well-developed for just being bit players. I was sad that both of them died, even if Isabella's death was necessary to establish the threat. So we've done vampires and werewolves as aliens in this new Who. What's next? I'd dig an old-school voodoo tale. "Thought I'd burst out of the wrong cake … again."